Golborne Stories – A History of a Community, our latest film project, kicked off its interviews with Geoff Travis, founder of Rough Trade. digital:works is running a reminiscence group of local older people as well as using local networks to pull together a balance of potential interviewees. 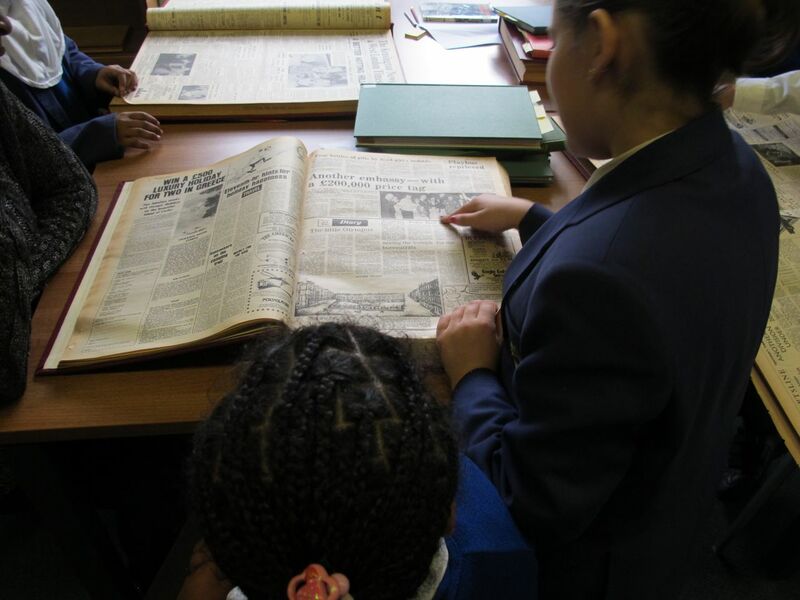 We are working with one of Bevington Primary School’s Year 5 classes to train them in oral history and documentary film making so they can carry out all the interviews and filming. As part of their research they have visited the local Archives and had an informal meeting with the reminiscence group as well as gone on a guided walking tour with local historian Maggie Tyler. Many more interviews will take place next week before editing starts. There is a dedicated website: Golborne Stories where you’ll find more information and where the film, interviews, writing etc. can be found. The project is funded by Heritage Lottery Fund’s Sharing Heritage programme and the Love Golborne Ward Fund.